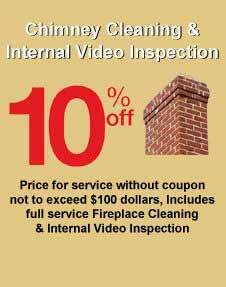 Providing quality chimney rebuilding services for over 20 years. Whether it be small crown replacement, partial rebuilds from roof line up, or total rebuilds. We not only repair chimneys but we also have the knowledge to figure out what has caused a chimney to go bad in the first place. 99% of chimney's that go bad are those with improperly sized furnace liners. Usually, chimneys that have had a new furnace installed within the last 20 years if not properly lined, have a tendency to create excessive amounts of condensation during the winter months which eventually leads to deterioration of the chimney at the attic floor or the roof line. Newer types of furnaces are designed to provide more heat into the home and less heat into the chimney which is why it is very important to install the proper sized furnace liner that that will heat up instantly and stay heated to accommodate cooler exhaust temperatures. This also applies to hot water tanks. If your situation requires Chimney rebuilding from the roof line up and the remainder of the chimney is inside the home then you have the option of choosing basically any color or style of brick that matches the decor of your home, and we do our very best to accommodate you. If your situation is a partial Chimney rebuild then we have the resources to come as close as possible to match your existing brick and mortar color. Aesthetics is just as important as everything else whether it be rebuilding, tuck pointing, or basic spot pointing. We take pride in knowing that upon completion of a Chimney Repair that we have taken all the necessary measures to assure that your Chimney is Fully Functional, Safe, and is Cosmetically Pleasing to look at. Click here to view our image gallery to see recently completed jobs performed by Modern Day Chimney Sweeps, photos are updated as jobs are completed.